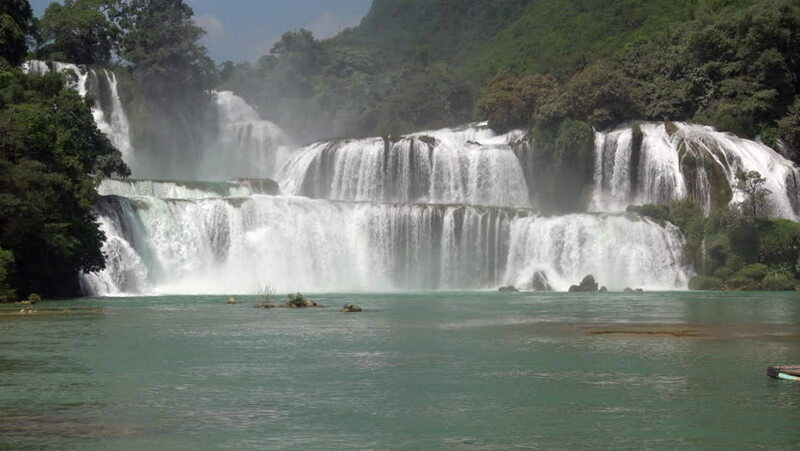 hd00:07Ban Gioc waterfall in Cao Bang province Vietnam, the border line between Vietnam and China. hd00:18Little waterfall on the river. The water carved a hole in the rocky river floor. 4k00:16Amazing aerial view to extremely beautiful waterfall. Shots made during summer time while waterfall is breathtaking.